This is the third and last part of a 3-part series dealing with how Filipinos can be good investors. If you’ve missed the first two parts, you can find them here: Part 1 & Part 2. These set of articles came about because of misconceptions many of us have on how to become good investors in the Philippines. My hope is that this will give aspiring investors solid foundations to make them successful. Establish a good financial foundation. We should now be in a position to develop an investment strategy. When I speak of strategy, I don’t mean to imply that you have to concoct an elaborate plan. It doesn’t have to mean that you should become a really sophisticated trader to complete this step. There are possibly multiple investment strategies out there as many as there are investors. Each one could be executing his own plan differently from everybody else. It doesn’t mean, however, that all investors got it right. In fact, many probably have no idea what they're doing. Being clueless while you invest your money is not a good position to be in. But you don't have to stay ignorant. When it comes to investing your money, the risks of losing can be mitigated by applying some simple ideas. Here are some ideas that are proven to work. A. Diversify - You must have heard the admonition saying “do not put all your eggs in one basket”. It simply means that we have to diversify our investments. We should not concentrate all our resources to a single investment because it will put our investment at the mercy of a single entity doing well or not. Imagine the eggs as your money while the basket is the investment vehicle. If you only had one basket with all your money in it and the basket falls or breaks, all your eggs are at risk of going to the garbage bin. Setting up multiple investment vehicles and investing in multiple companies is comparably safer and should be practiced. If your eggs are on many baskets, a single broken basket will not cause your investments to collapse. If you invest in companies through their stocks, your portfolio will survive (even thrive) even if one of the companies does poorly. More broadly if your investments are not limited to the stock market, you will not be in danger when a cyclical stock market downturn occurs. This brings us to the second important idea. B. Investment mix - If you’ve done your homework to identify investment opportunities, then you’ll have a spectrum of alternatives that comprises a range of earnings potential and associated risks. From these alternatives, you should decide the investment mix that will comprise your total money invested. If you’ve decided to limit yourself between stocks and bonds for example, you will have to decide how much should go to each one. A balanced approach would divide the investments equally between stocks and bonds. Knowing the associated risk for both will help you assess the right mix that will suit your risk appetite. C. Cost Averaging - When you invest in stocks, you should always want to buy at a low price so that you can maximize your gain. But it’s difficult to predict stock prices because they fluctuate quite often. To minimize your risk exposure to this, you can do cost-averaging. Cost-averaging simply means you buy at regular intervals. Every month or every quarter for example. Since your buying frequency is time-bound, it’s quite likely you’ll have high and low-priced versions of the same stock. This will help you spread the cost when you invest in stocks. On top of that, investing at regular intervals is good for people with fixed regular salaries they can use to invest. D. Regular checkup - Finally, an investor should not forget that the investment needs regular maintenance. This should form part of the investing strategy. For example, you may need to check how the investments stand each month or each quarter. 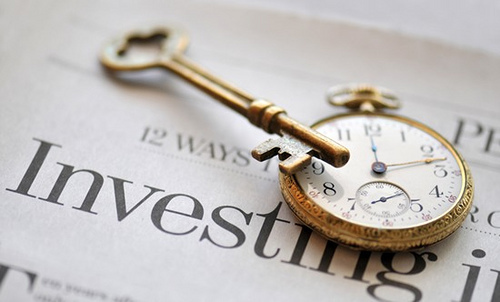 You should not spend too much time monitoring your investments but you do need some time to do it. Else, you would have no data to say how well or badly you’re doing. Investors also have to decide the frequency with which he or she will realign his portfolio. What do I mean by this? This means evaluating how each component of your investments grew. For example if you’ve decided on 50% stocks and 50% bonds portfolio, you may have to rebalance the accounts to bring it back to this proportion after some time. This is because we don’t expect both components to grow at the same rate. To maintain your ideal mix, you will have to do some realignment yearly or whichever duration you think is best. When you’re well underway with your investing activities, it’s worth recalling how you got to where you are by reviewing the guidelines we discussed. This will help the new investor avoid going off track. Failing to keep your finances in order, for example, may weaken your foundation and cause your investment to fall apart. Or forgetting the importance of thorough risk assessment could put your investments in trouble. Since you’ve made it this far, I believe you are determined to stay on the right track as much as you can. Your hunger for learning will help you tilt the odds of success in your favor.